Baird Brothers standard delivery area serves a 100-mile radius with their fleet of trucks. 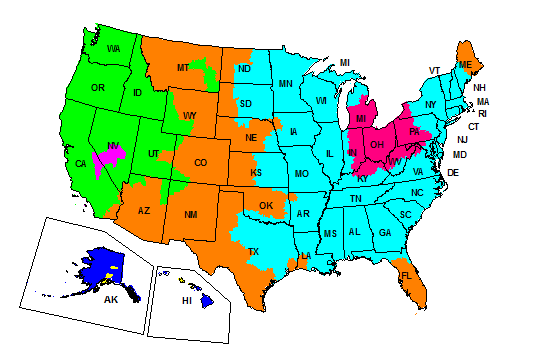 Service Map colors may vary due to differences in hardware and software. 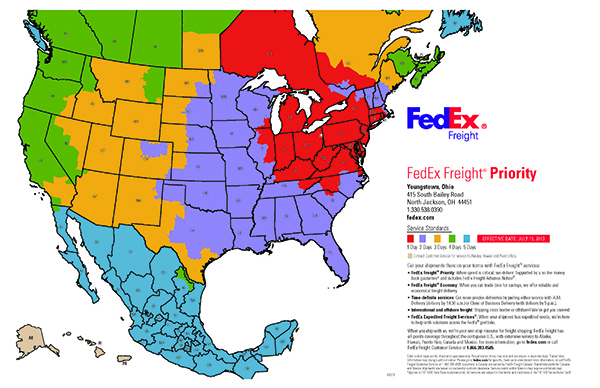 This map is a general representation of UPS Ground transit times. For service availability and to calculate the delivery time for a package shipped between a specific origin and destination worldwide, Calculate UPS Time & Cost. Color-coded maps are for illustration purposes only. Actual transit times may vary. Transit times shown are in business days. 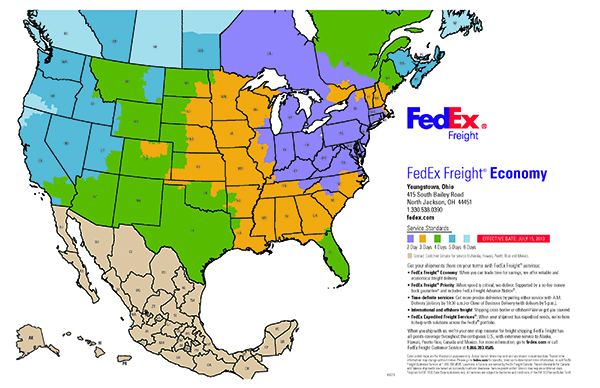 For specific transit times, please contact FedEx Freight Customer Service at 1.866.393.4585 or use the FedEx Freight transit time calculator. Map graphically represents transit times between service centers and is for illustrative purposes only. Service to outlying points may require additional transit. Transit times are subject to change. Current transit times are available at abf.com or by calling your local ABF customer service center.